El Mariachi Semblanza is a group of musicians specializing in Mexican folklore composed of 8 members. With the idea that you know a little bit before having us at your event to introduce ourselves briefly. All together we have acted in different regions of Spain. Our more usual square and manufacturing area Barcelona metropolitan areas eventually expand throughout the provinces of Catalonia and other regions whenever it requires action. 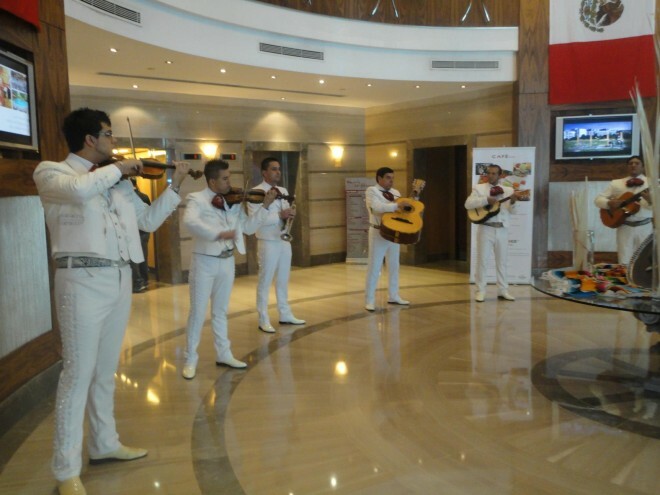 We have also traveled the world with our actions and our instruments typical of Mexican music. Together we have traveled to such exotic countries as Ukraine, Turkey, Italy, Lithuania, Finland, Ireland, France and even Arab countries such as Dubai. We are proud to bring Mexican culture through our music and our performances to wherever we claim, no matter how many miles away and the official language of the destination country. Our language is music, and feel proud Mariachi Mexican Semblanza. Born in Mexico City, he comes from family that for generations has been dedicated to mariachi. 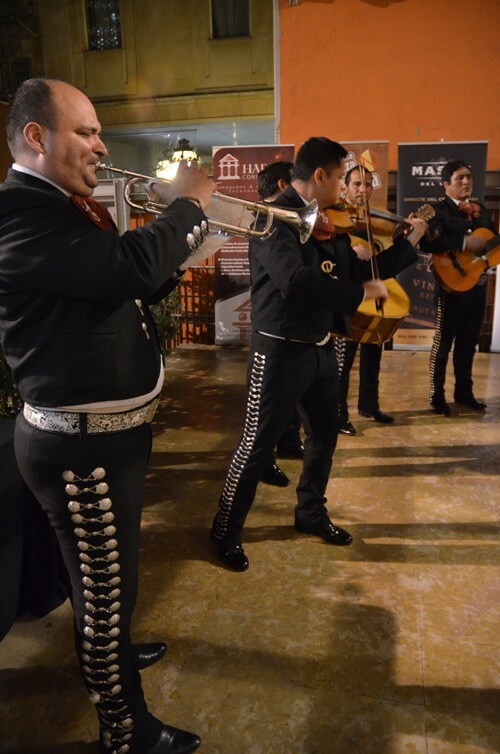 Arthur has been in some big mariachis of Mexico like the “Arriba Juarez”, the “Pearl of the West” or Mariachi “Tlaquepaque” with whom he has performed in major theaters in Mexico and accompanied great and famous artists of Mexican tradition. He has traveled throughout Mexico, Venezuela and much of the United States, where he lived and worked with Mariachi groups. He has participated in multiple recordings in Spain and Mexico and for some years has been operating as a motor and soul of the group. 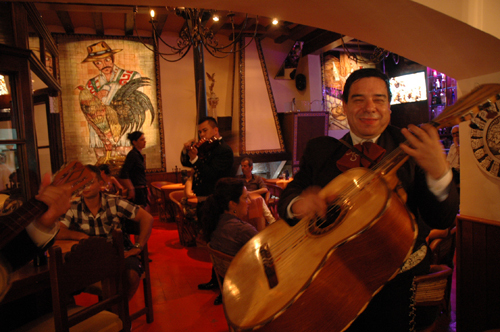 Born in Mexico City, he is the oldest member and current director of the mariachi. He began his musical studies with master Mexican Enrique Barona at the National School of Anthropology and History and toured through some of the most important festivals of traditional music of Mexico. He played with traditional music groups like “Son del Pulque”, “Son de Allá” and Chéjere until he migrated to Barcelona. There he took classes in Mexican and Latin American folk music with Maestro Hector Sanchez Campero and joined the Mariachi Semblanza and participates as an active member since 2003. Philip was born in Zimapán, Hidalgo and started in music and singing in his village. Migrated to Mexico City for college and joined the group “Carrillo” as requintista. Later he joined the group “Los de Mexico” with whom he participated in various TV shows and soap operas. 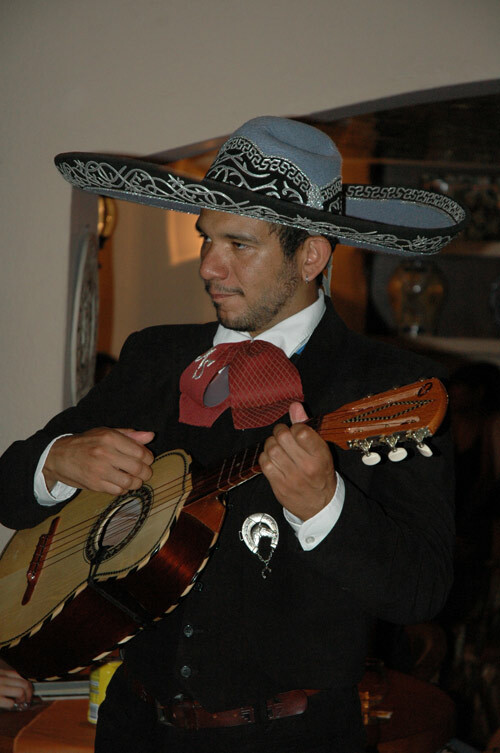 In 2002 he settled in Barcelona, took part in the mariachi “Luces de Mexico” for some time and, later he joined as lead singer in our Mariachi. Coming from a family of Mariachi musicians, he began taking private music lessons in Bucaramanga, Colombia and continued his studies at the University of Santander, Colombia. 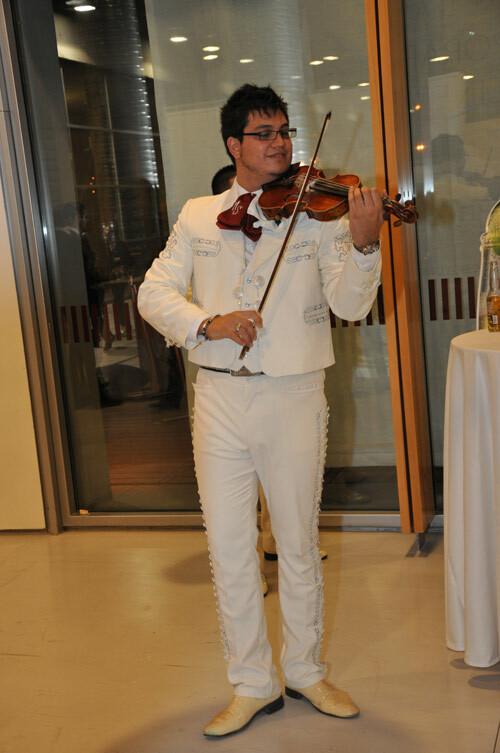 He played in Mariachi “Jalisco” (Bucaramanga – Colombia) and Mariachi “Guadalajara”. He then moved to Madrid where he played with Mariachi “Mexico Lindo”. 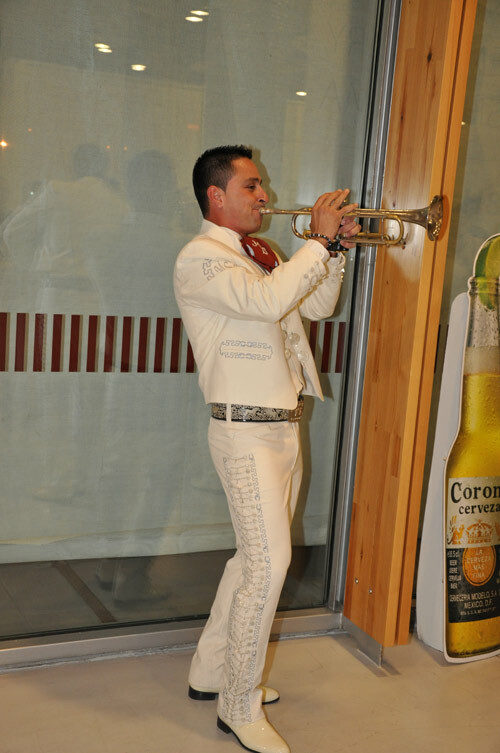 An active member of Mariachi Semblanza since 2006, when he moved to Catalunya. 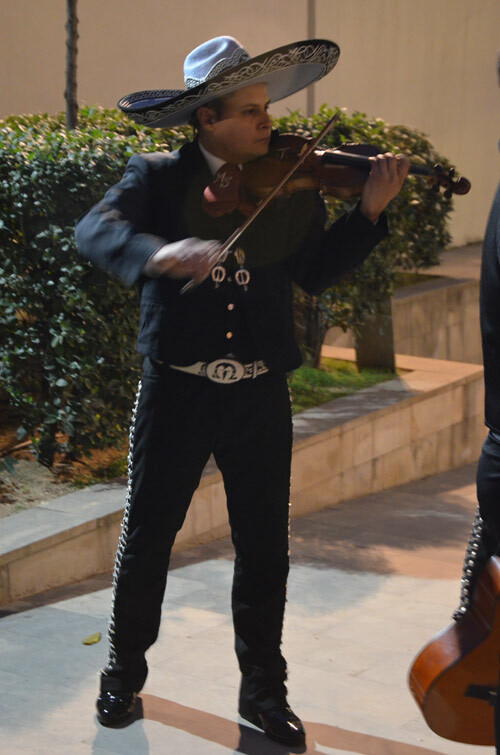 Born in Guadalajara, he comes from family that for generations have been Mariachi musicians, and began his violin studies at the age of 14 and at 17 began playing in mariachi “Los Toritos” which is one of the best mariachis in Guadalajara. He continued his vocal studies and entered the sacred music conservatory of Jalisco. Some years later, he came to Catalonia where he has participated in the best mariachis of Catalunya. Nestor is the youngest member, he is only 21 years old. At eighteen, he began playing in the Mariachi “Messengers of Mexico” in Bucaramanga, Colombia and after a few years, he continued his career in the Mariachi “Fantasia Mexicana” where he remained until 2002. Later he moved to Spain and traveled and worked with various groups in Madrid and actively joined the mariachi band Mexicolombia where he worked for a period of 5 years. Along with his family he traveled to Catalunya and since then has participated regularly with our group. 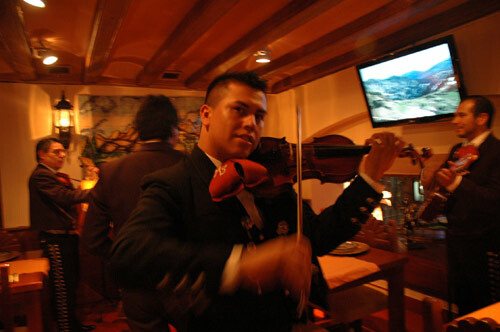 Pancho is from Zamora, Michoacán and began studying music at age 12 in Mariachi “San Juan” with his cousins​​, and continued his violin lessons with private teachers of Mariachi tradition. He has participated in four mariachi band festivals and the rodeo in the city of Guadalajara with Mariachi “New Ordaz”, with whom he also has performed in numerous theaters alongside the most important mariachis of Mexico. Traveled to Barcelona to study violin at the Aula de Musics del Liceu and has worked in our project actively since then, providing his youth and direction in the musical arrangements. Born in the city of Ibague, Colombia, he began studying violin at age 8 at the Conservatory of Tolima. At 14 he entered the mariachi band “Guadalajara” a few years later to Mariachi “My City”. He moved to Bogotá and became part of the Cape Philharmonic Orchestra and the Javeriana University Orchestra, where he studied at advanced level. 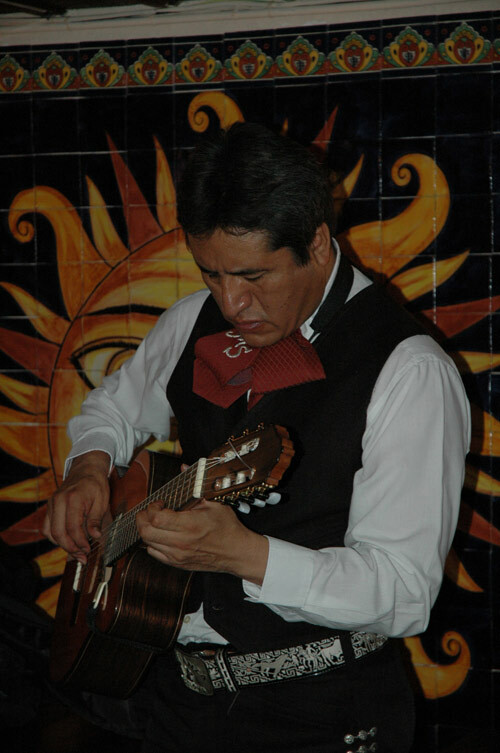 Participated in recordings for Colombian singer Gabriel Arriaga and later worked with Mariachi “King of Mexico” making recordings, concerts and tours. Collaborated with mariachi band “Voices of America” and the mariachi band “Contemporary Classic” of the city of Bogota. He moved to Spain and worked for the project “Serrat symphonic”.